A unique opportunity to live, work and study overseas in 2018 has been handed to two University of New England students who were awarded scholarships under the prestigious New Colombo Plan. The scholarships were won by Miles Archibald, an Indigenous student from Guyra who is studying for a Bachelor of Business, and Madeline (Maddy) Ianna, studying for a Bachelor of Science (Biochemistry/Biotechnology). Miles also won a Colombo Plan Fellowship, and his internship in South Korea will be sponsored by QBE Insurance. Fellows, selected from the top-ranked Scholar in each location and top ranked Indigenous Scholar, receive an additional benefit of $1,000 to purchase study materials. “This is a great coup for UNE,” said John McKinnon, UNE’s Study Abroad and Exchange Officer. Miles said he has had an ambition to live and work in Asia as part of a long-term plan to build a career in the finance sector. “I want to work throughout South East Asia, and this is an opportunity to become immersed in one of Asia’s cultures,” he said. Miles has already picked up opportunities to visit China and Indonesia on UNE Business School tours. Business School Partnerships and Business Development Manager, Dr Lou Conway, said the School is proud of Miles’s achievements. While picking up the travel opportunities made available to him, Dr Conway said, “Miles has achieved academically, is entrepreneurial and engaging with the Smart Region Incubator, and he has sought internships”. Maddy Ianna has been selected to study at the University of Hong Kong, furthering her experience of Asia. 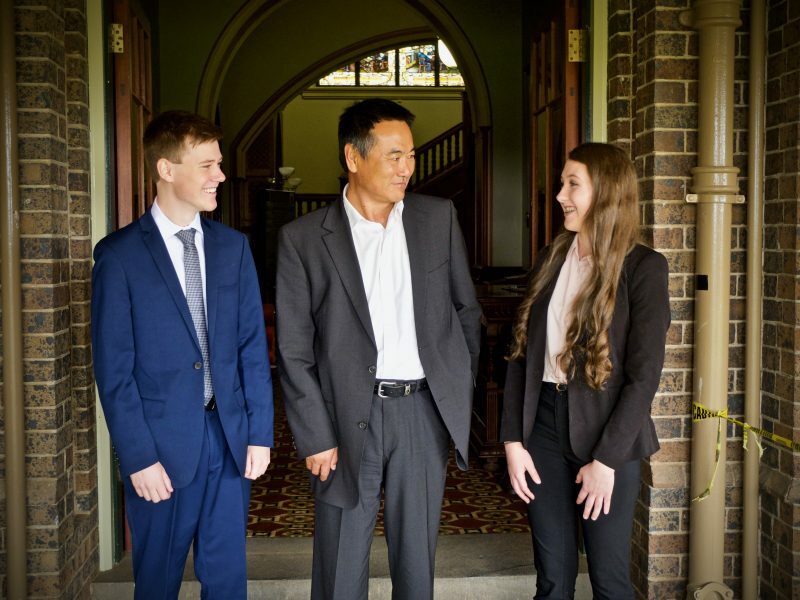 She has already spent a year in Japan on a Rotary Youth Exchange, and is thrilled at the prospect of another year in Hong Kong, “the centre of Asia”. Maddy is leaning towards specialisation in microbiology and chemistry, with a possible career in bioremediation in mind. The New Colombo Plan was launched by the Federal Coalition Government in 2014 as a long-term investment in the future of Australia. The aim is to create a next-generation workforce with an understanding of the Indo-Pacific region and experience of working with other cultures. This year, 120 New Colombo Plan scholarships were awarded to talented undergraduates who are given the means to live, study and work in the Indo-Pacific region in 2018. These New Colombo Plan scholars will study in 20 host locations, including for the first time, Tonga, the Federated States of Micronesia and New Caledonia.